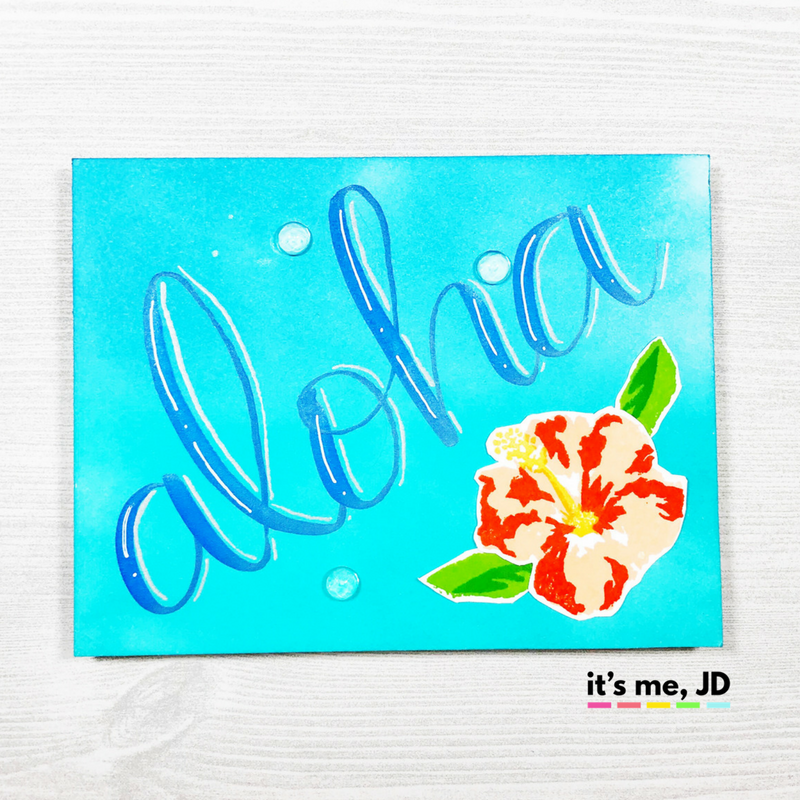 For this Hand Lettered Aloha Hibiscus Card, I started by ink blending distress oxide inks on my panel to give an nice tropical ocean vibe. 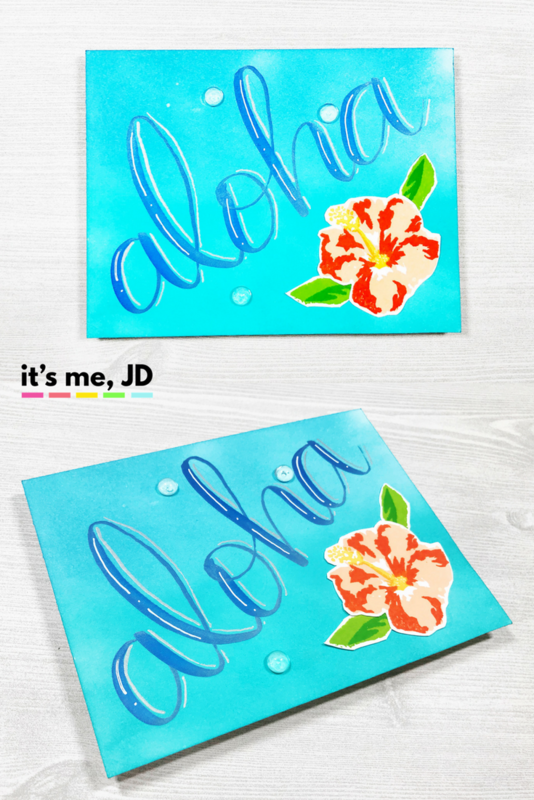 Then I wrote out my large “aloha” sentiment, and went back into to add shadow. 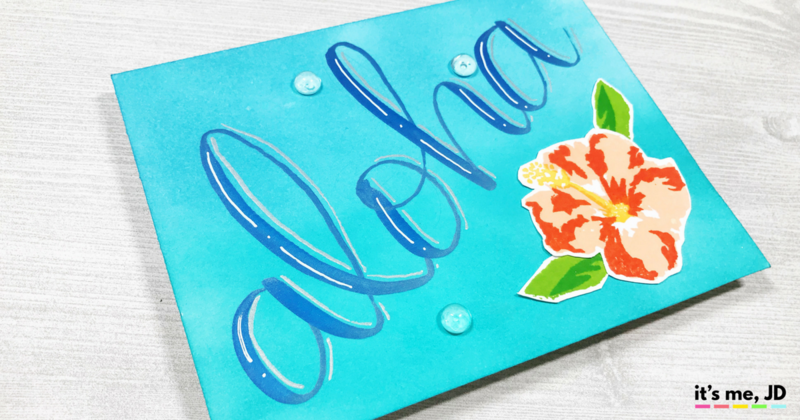 While that was drying, I stamped and cut a hibiscus to add to the corner of the card. Once the ink was dry on the sentiment, I used a white gel pen to add highlights. Then I added some dew drops as a final touch. You can see the process on my instagram page.